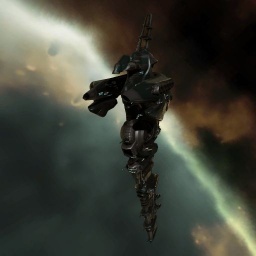 The Myrmidon is a versatile battlecruiser that performs well in most roles. The myrmidon sports a balanced slot layout that can support a shield or armor tank and do quite well with either. It has more drone bandwidth and a larger drone bay when compared to its cruiser cousin the Vexor. As a drone boat the Myrmidon has excellent flexibility for long roams, with the ability to carry a mixed heavy and medium flight, a light flight, and an additional flight of light repair or EWAR drones. The Myrmidon has no bonus to any weapon system and so it can mount any weaponry of any size with equal proficiency, or use nosferatu or neutralizer arrays without greatly reducing its damage. The standard Power Grid Management V and CPU Management V. These fitting skills make it easier to fit the modules you need, as they give you more power grid and CPU per level, respectively. As the Myrmidon is a droneboat, training Drones V, Drone Avionics V, Drone Interfacing IV and Gallente Drone Specialization IV / Minmatar Drone Specialization IV are all are important to improve your primary source of damage. The Myrmidon is bonused for an active armor tank, which should be your first choice when fitting this ship. A T1 armour tank may be acceptable at first, but you'll want to quickly start training for a T2 tank, as a T2 tank is better in just about every way. For a T2 tank, train the following skills: Hull Upgrades V, Mechanics IV, and Repair Systems IV. No sub-article about Myrmidon roles or piloting tactics. You can write them here. This page was last modified on 28 September 2017, at 13:52. This page has been accessed 373,504 times.